Or, use our Unique ONE SHOT measured dose Skeleton Gun. New, easy to install, cream DPC product - no pump required, no mess, no smell - includes injection nozzle extension. Damp proof coursing made easy - forms a continuous silicone damp proof course (DPC). BBA Test Certificate No: 02/3961, as used by the professionals. The BBA is a Government Approved organisation which has been testing building materials for over 30 years. Note - not all damp proofing materials have passed these tests - beware of imitations). A 'damp meter' and surface thermometer (see www.dampness-info.co.uk/meters.htm) are useful tools for this diagnosis. If not available use the back of your hand to assess the relative dampness of one affected area to another unaffected area.. 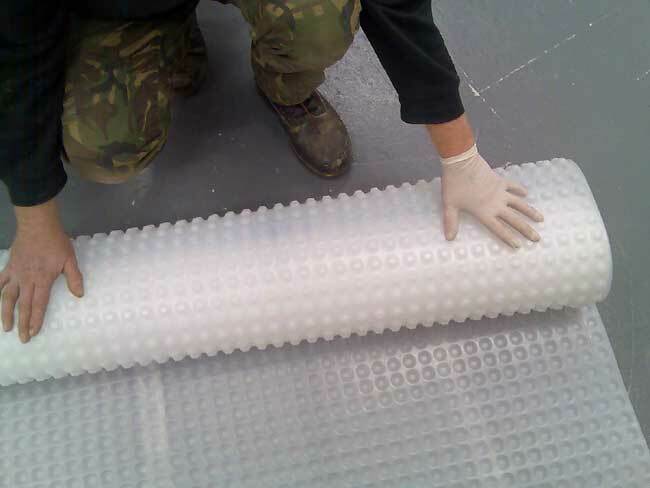 Consumption rates - how many metres of wall will a tube of damp proofing cream inject? 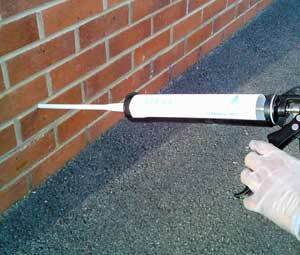 380cc tube with extension nozzle - makes a maximum of 3.5 metres/11 feet of damp proof course in single thickness masonry (spacing interval 120mm/4.5 inch walls). 380cc ONE SHOT measured dose Skeleton Gun - a specially modified skeleton gun, giving one shot of cream per trigger pull, for one 4.5 inch (115mm) wall thickness. Two pulls of the trigger for 9 inch (230mm) walls, per hole. 1000cc tube with extension nozzle - makes a maximum of 9 metres/30 feet of damp proof course in single thickness masonry (spacing interval 120mm/4.5 inch walls). 1000cc ONE SHOT measured dose Skeleton Gun - a specially modified skeleton gun, giving one shot of cream per trigger pull, for one 4.5 inch (115mm) wall thickness. 3 litre bulk pack, for professionals - makes a maximum of 27 metres/90 feet of damp proof course in single thickness masonry (spacing interval 120mm/4.5 inch walls). Requires a pump up dispenser. Don't forget that replastering is essential if dampness has affected your plaster because of the 'salts' that come with the water: you have two options -either replaster to our specification using sand and cement, with Renderpruf salt inhibitor/waterproofer in the water or look at the Wall Membrane option. 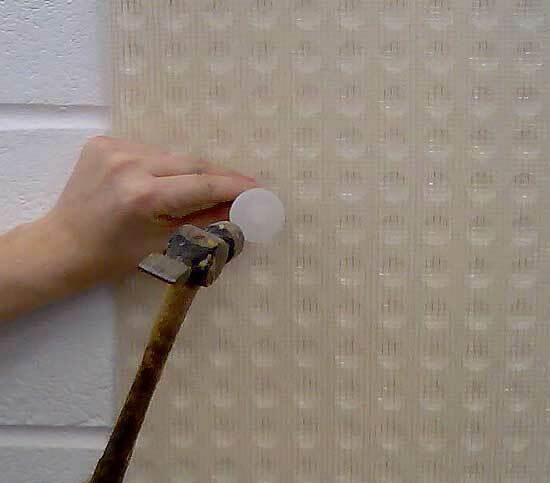 Wall Membranes offer a considerable improvement over sand and cement - they produce a warmer surface, can be insulated easily and can be directly plastered with lightweight, modern plasters, like Carlite Bonding. above abutting ground level (whether internal or external), to avoid splash up or 'bridging'. selected to be at least 150mm above outside or abutting ground level. Blow or vacuum holes to remove dust. 3. Inject cream from the bottom of the hole outwards until the hole is full. 4. Replaster to our specification. Treat any skirting boards or joinery with Boron Ultra Gel. is required to finish the job and to prevent 'salts' damage to plaster finishes and decorations. Damp walls in houses are sometimes caused by Rising damp, but treating damp always requires careful analysis to avoid damp proofing walls that are suffering from penetrating dampness, condensation or residual 'salts'. 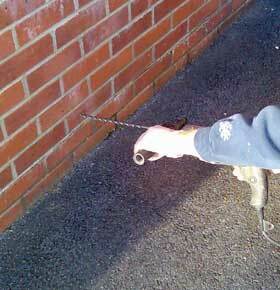 We recommend damp proofing cream by hand injection of a new damp proof course (DPC). If you ask for our free help we will ensure that you know how to treat damp walls properly to stop damp and if necessary how to use a Damp Meter. You can easily use UltraCure damproofing cream to install a damp proof course, sometimes referred to as a DPC, without any special training. In treating damp you may also need to consider some tanking, below the damp proof course, which means forming a waterproof coating to stop damp penetrating from below ground. Rising damp can be found in houses which have not been built with a damp proof course or where the damp proof course is faulty. The signs of rising damp can include a tidemark on walls just above the skirting boards, damp patches that come and go, 'salt' marks, loose paint or wallpaper and the plaster can be cold to the touch. To stop damp of this kind we need to either install a new DPC or uncover the original damp proof course level - it may have been bridged by raised garden soil, pathways or even by the local Council in surfacing the pavements. Rising damp is not confined to external walls. You should also examine your internal and Party walls for the telltale signs. The problem of rising damp should be addressed as soon as possible. Lack of treatment will result in a deterioration of the masonry, plaster and any woodwork that is attached (for example, skirting boards). Another significant side-effect of damp, some authorities believe, is that the mould that it can cause is a major factor in childhood asthma. It can certainly trigger asthma attacks! Apply one of our Anti-Mould products - Anti-Mould Cleaner, Anti-Mould Paint or use our concentrated Anti-Mold Paint Additive (works in all types of paint).